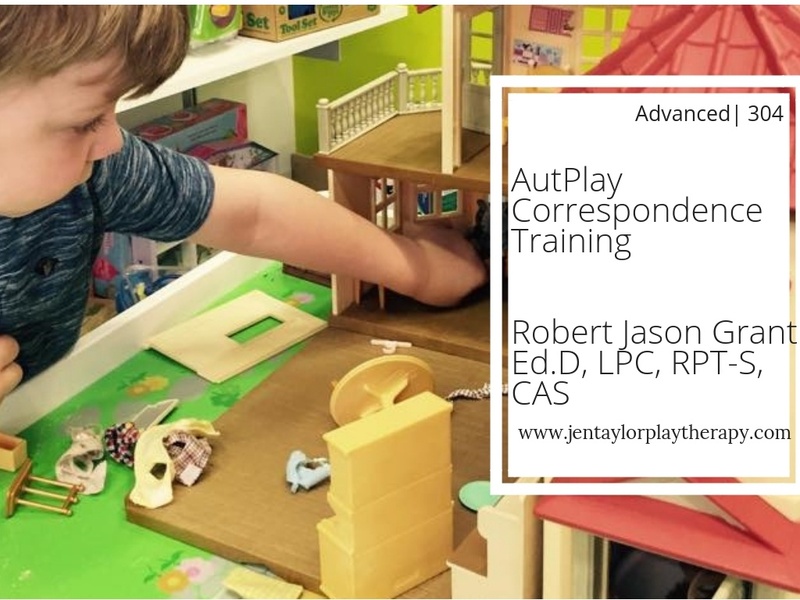 Complete your AutPlay Training by attending this online format. 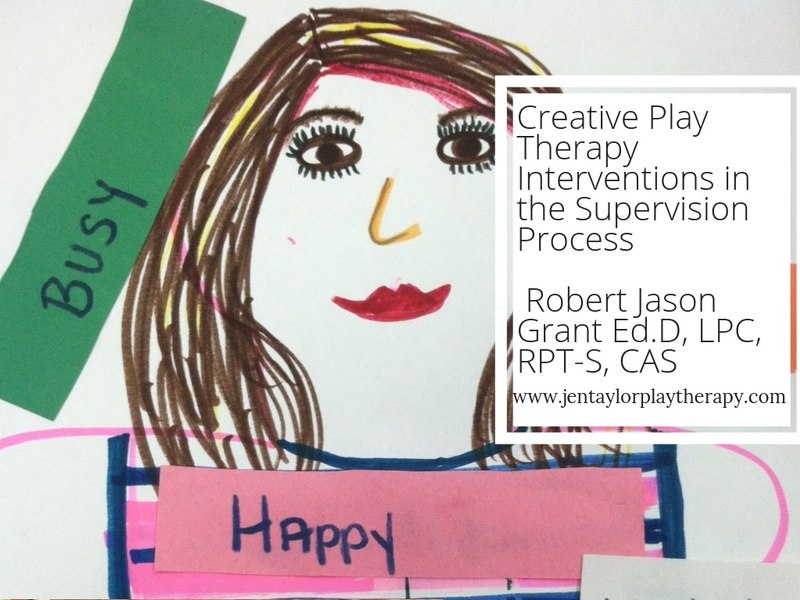 Creative Play Therapy Interventions in the Supervision Process provides an overview of clinical supervision and play therapy supervision. The pragmatics of supervision are covered including forms and inventories to use in supervision. This training focuses on addressing challenges and issues in working with parents and caregivers in play therapy. This training is designed to provide a training program that supervisors can share with their supervisees during supervision meetings. 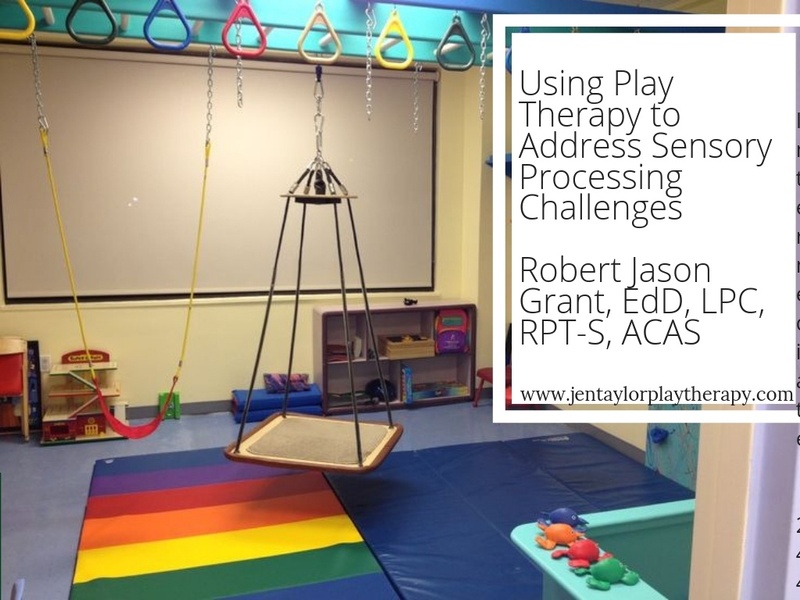 This training explores using play therapy approaches and interventions to address sensory processing challenges. An overview of sensory processing challenges will be covered along with descriptors of the eight sensory processing areas. 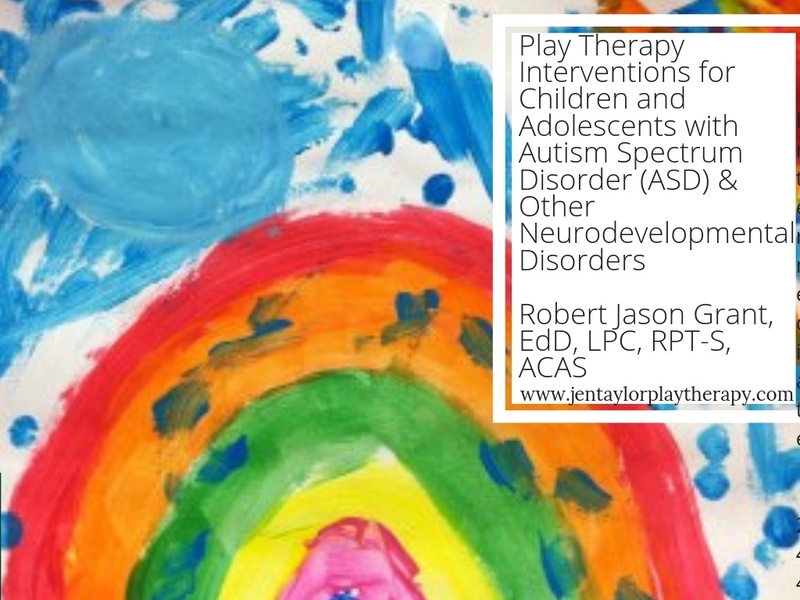 Play Therapy Interventions for Children and Adolescents with Autism Spectrum Disorder (ASD) and other Neurodevelopmental Disorders. In this 4 hour webinar we will examine the therapeutic power of play when working with family systems. 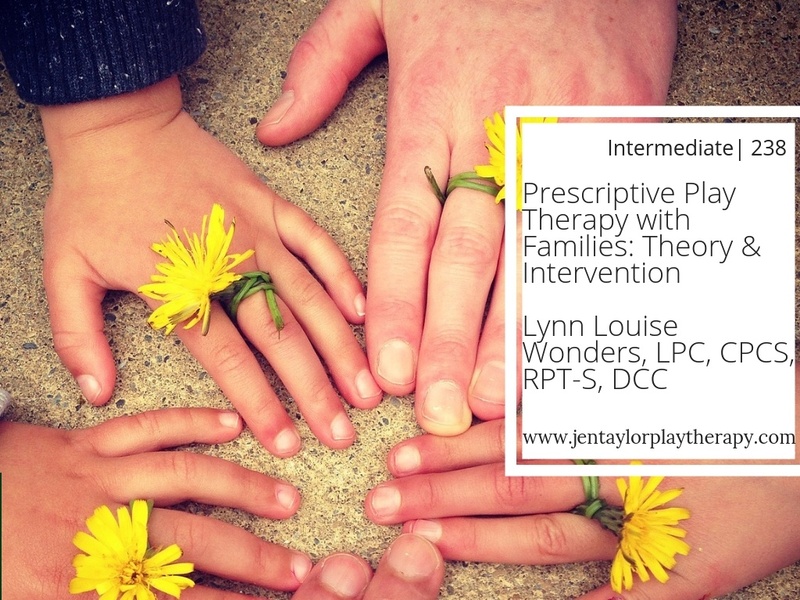 Based upon a family systems theoretical model, a prescriptive play therapy approach will be introduced. 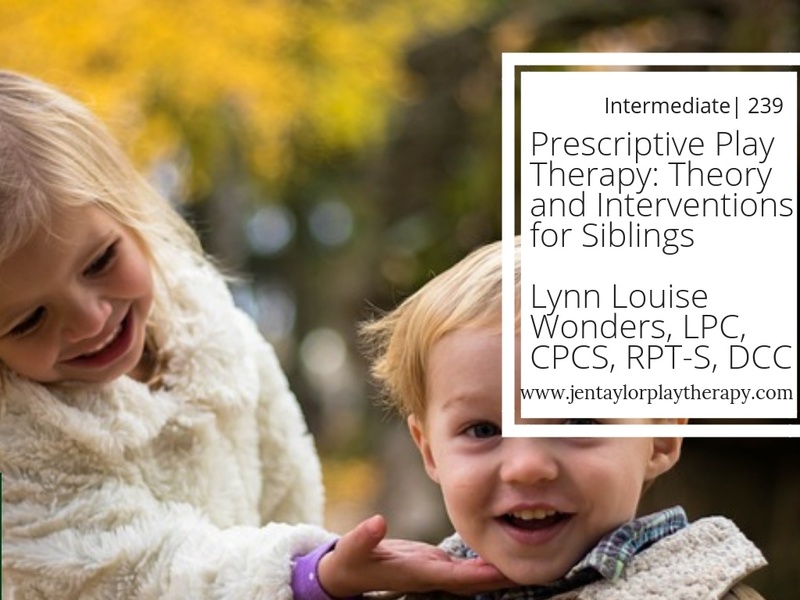 This 4 hour webinar will provide a theoretical overview of three approaches to play therapy, training on how to discern which theoretical approach is most appropriate and what interventions are best depending on the context and severity of symptoms. 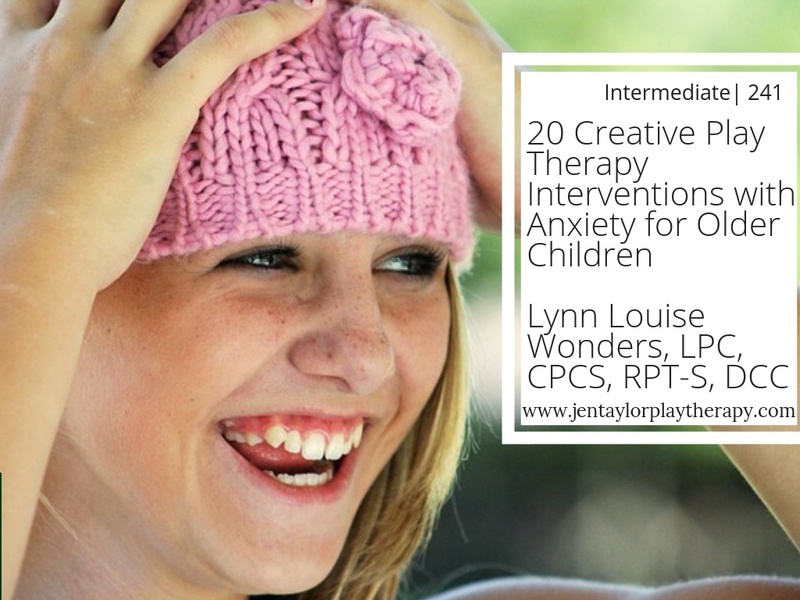 This 1.5 hour webinar will provide inspiration and instruction on how to be creative, rooted in a cognitive behavioral play therapy approach. 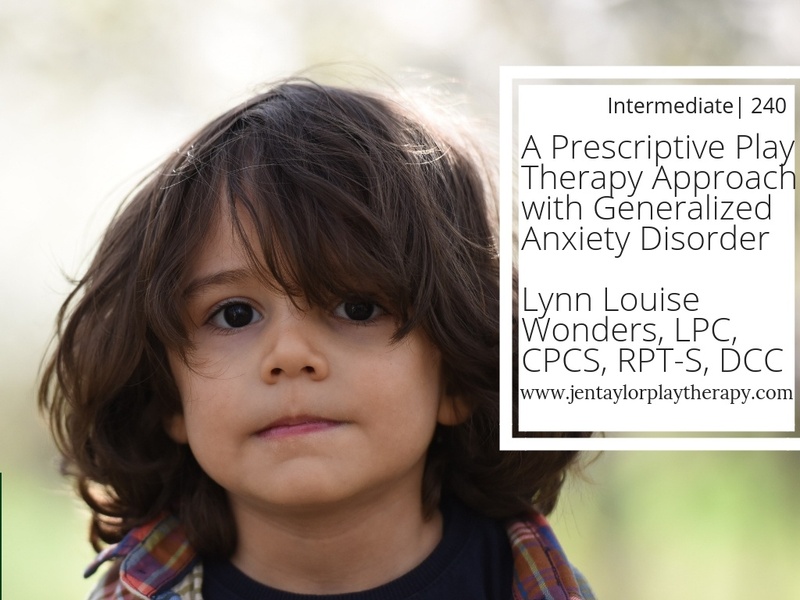 This 1.5 hour training will review the nature of this kind of anxiety and provide practical interventions for therapists to use in order to help children and parents overcome those challenges. Come and learn how and why to recycle everyday items into useful, fun items and games to utilize in the play therapy room! 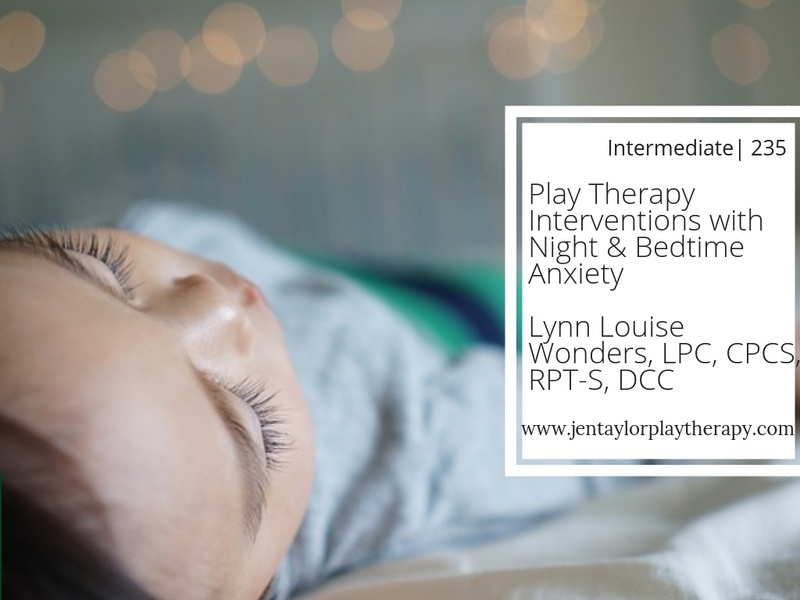 You'll receive 20 innovative and affordable play therapy interventions in this 1.5 hour training! 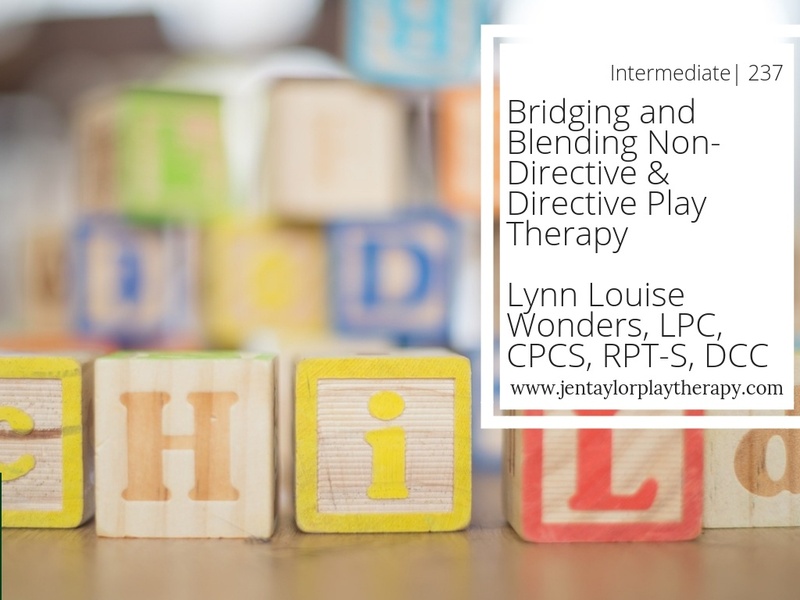 This 4 hour webinar presents a deeper look at the theory and research that supports both non-directive and directive play therapy approaches in helping children heal and grow providing framework and methodology for how to implement both approaches. When working with child clients, it is essential we have a good relationship with the child’s parents. This training will provide play therapists the ins and outs of how to interact with and involve parents in the play therapy process. There are myriad ways and benefits of bring a little of Nature into the play therapy room. 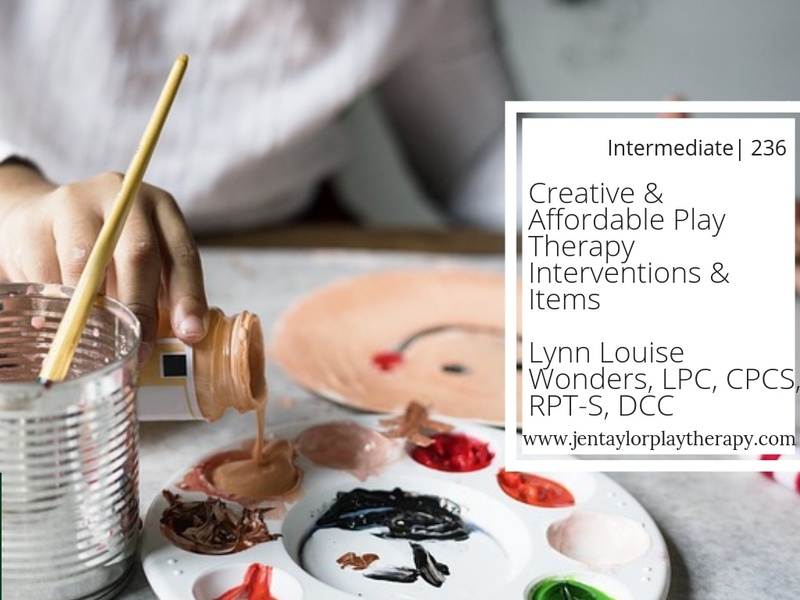 This one hour webinar will explore numerous creative play therapy interventions borrowing from the items we can find in the great outdoors. 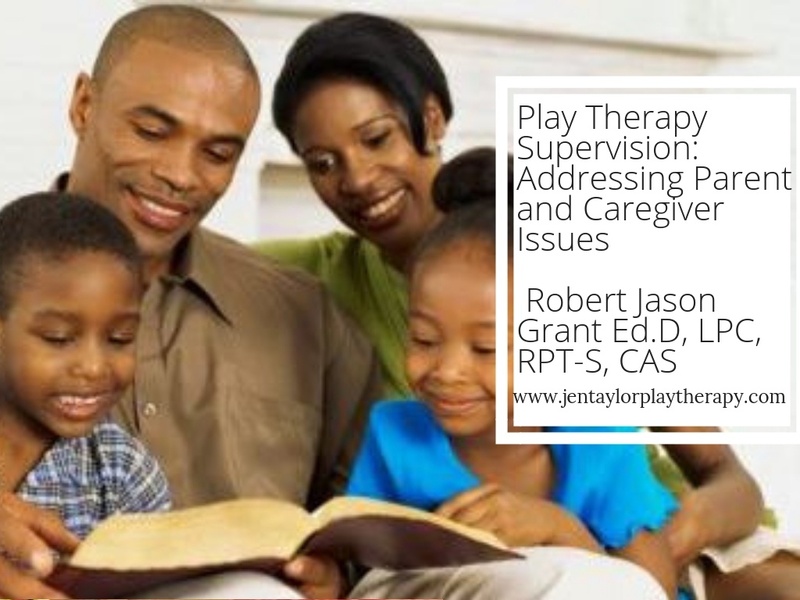 This 2-hour webinar will explore the complexities of the play therapy process with difficult parents and strategies to use to preserve the therapeutic relationship with the child and ensure the integrity of the play therapy process. This 2-hour workshop will focus on play therapy interventions to support children through the complexities of living with divorced or divorcing parents while remaining firmly in the role as therapist for the children. 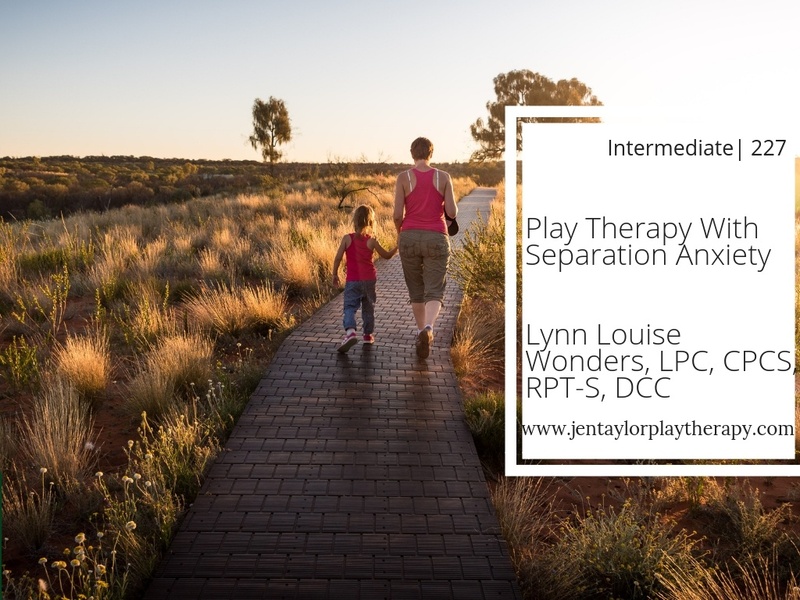 This 2 hour webinar will provide an overview of the nature of separation anxiety and how to address it in play therapy. 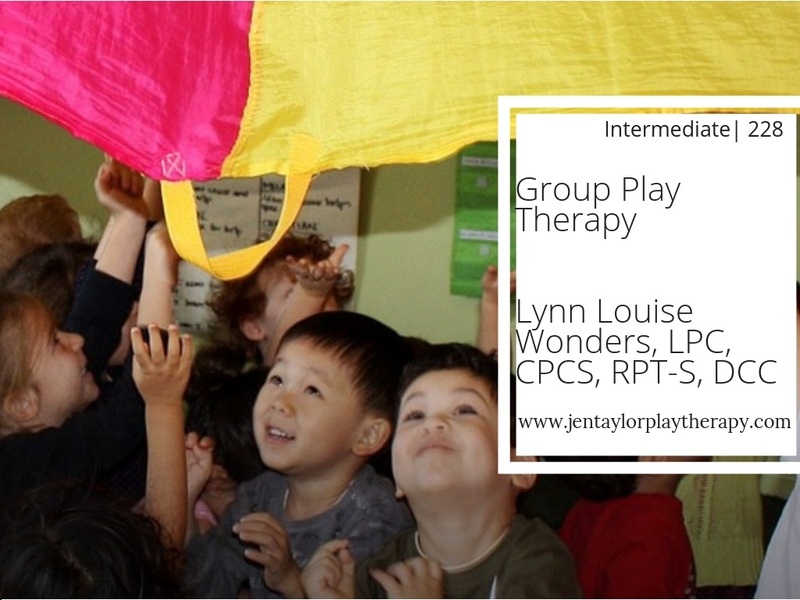 This2 hour webinar will provide training on how to create groups with particular play based interventions focused on various topics such as social skills, kindergarten readiness, anxiety, grief and changing families. 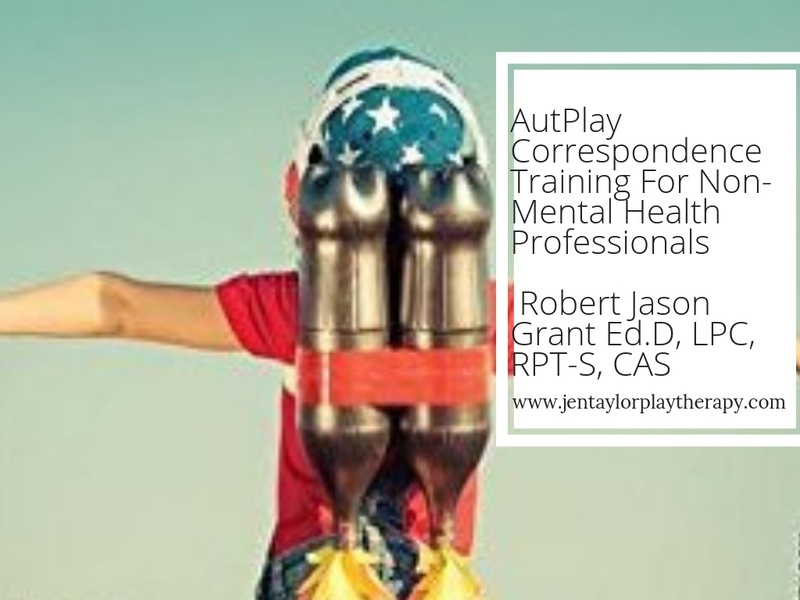 this 2 hour webinar will explore in depth the essence of emotional intelligence and how play therapy interventions can help children and their parents develop adaptive ways of identifying and expressing emotions resulting in improved relationships. 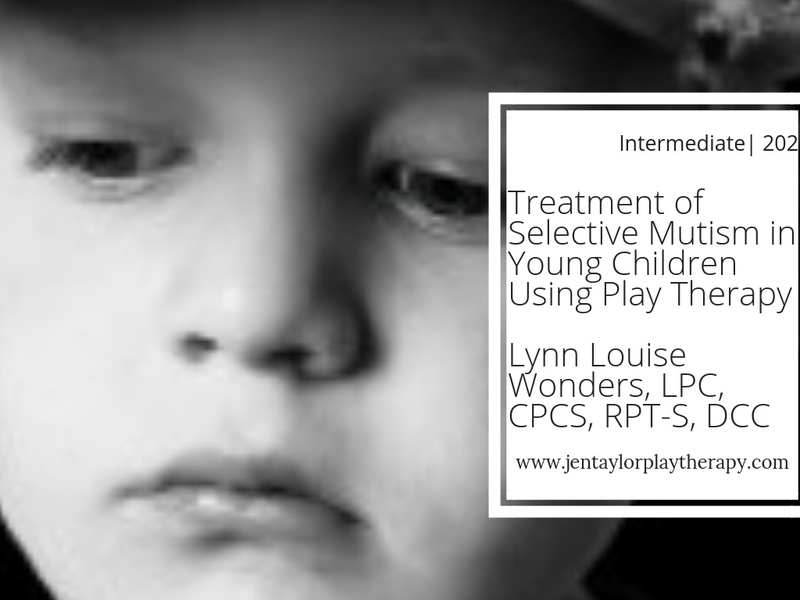 This 2-hour webinar will carefully examine the research that shows and supports evidence based play therapy for treatment planning in helping children with a variety of mental health issues and challenges. 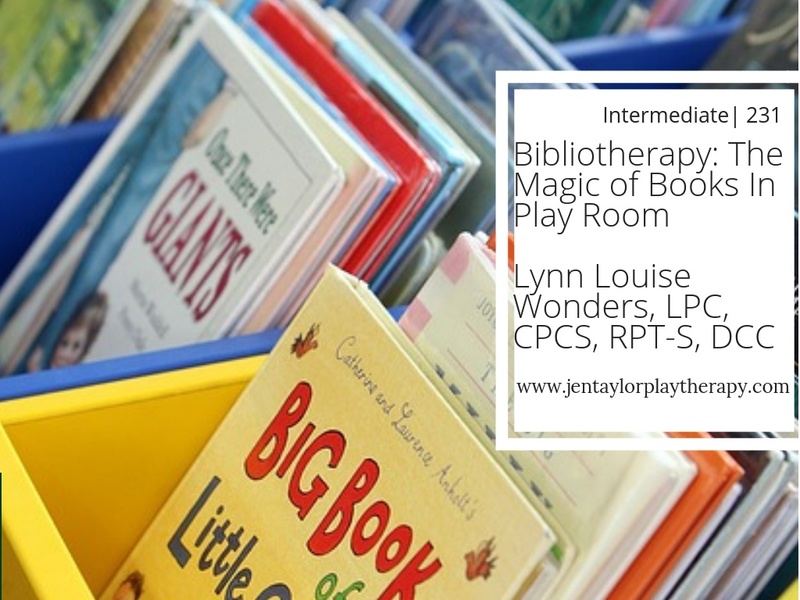 In this 2-hour webinar we will look at the best ways to utilize children’s literature in the play room to assist in helping children in their process of healing and growth. 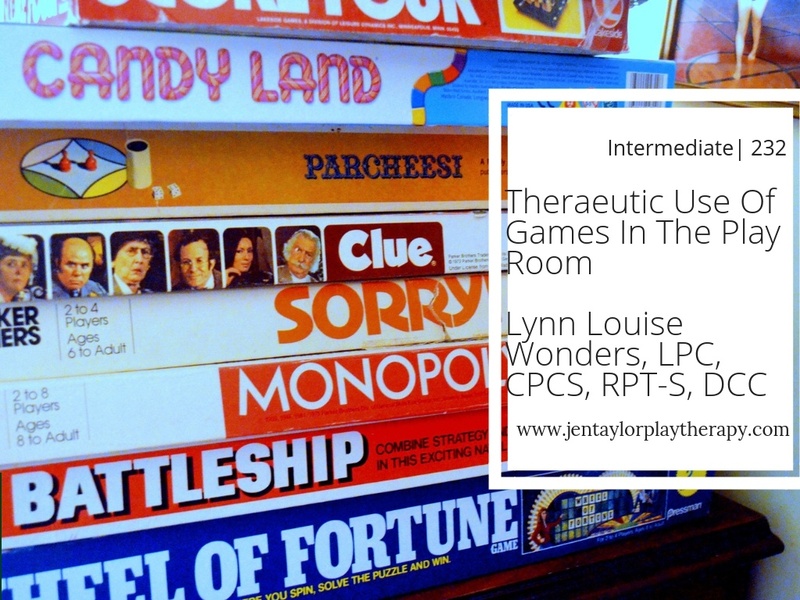 This training provides an examination of the therapeutic power and purpose of using games in the play room to help children through their process of healing and growth. 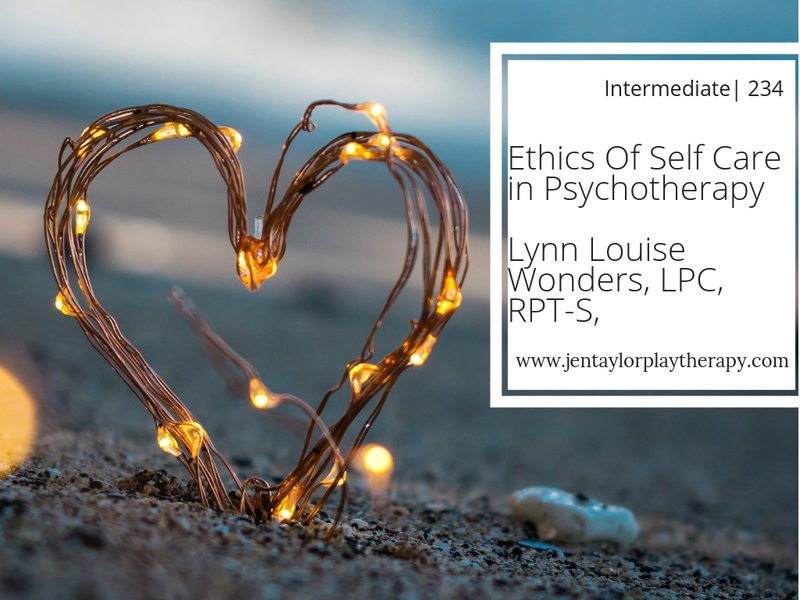 This 5 hour experiential, interactive training provides mental health professionals training in the crucial & ethical obligation to attend to self care along with examination of the signs & effects of burnout, compassion fatigue & vicarious trauma.